We hope you enjoy reading 'Issue 24: February 2019' online now. 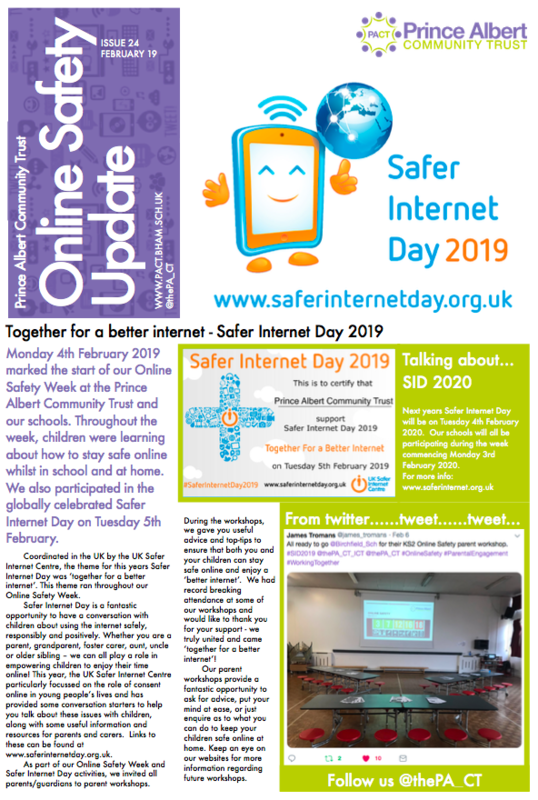 In this issue we look at Safer Internet Day 2019 which had a theme of 'together for a better internet'. We also look at our own PACT Online Safety themed week which incorporated both Safer Internet Day and the theme of 'together for a better internet'. We are also extremely pleased to announce that the PACT has joined the National Online Safety Community. Find out more in issue 24 of our Online Safety Update - out now! Additional resources and links can be found on our school websites.